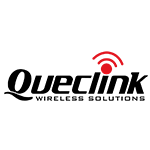 Queclink Wireless Solutions is a hardware manufacturer and off-the-shelf solutions provider in the area of M2M technologies. The company was founded in 2009 with the headquarters in Shanghai. The company business profile includes such industries as navigation, fleet management, remote unit tracking, telemetrics, personal tracking and security systems. Queclink popularity is constantly growing, allowing them to hit the top ten hardware manufacturers in terms of connected devices. The chart below shows the changes within the last 30 days in the number units of Queclink Wireless Solutions devices type are connected to Wialon Data Center.